I’ve read pleas for help from Chronic Kidney Disease patients about just this issue…but they were dialysis patients. I’m Stage 3, more often with a GFR in the low 50s rather than the low 30s. 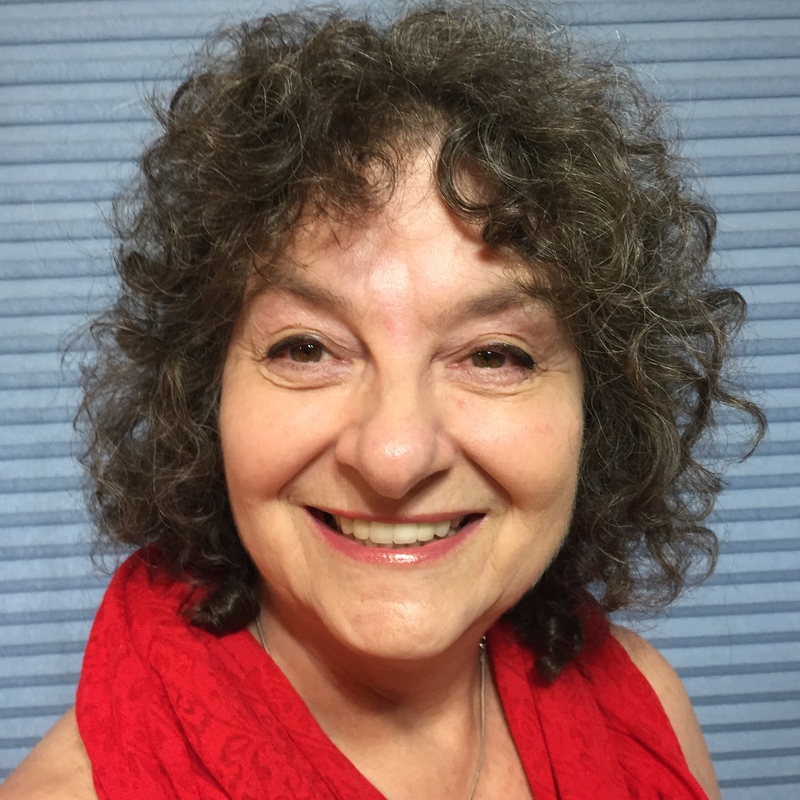 Could it be my Chronic Kidney Disease causing the hair loss – I’ll feel better if we called it ‘hair thinning’ – or simply my almost seventy decades on Earth? I can appreciate those of you asking, “Her what is in the low 50s?” Let’s take a peek at What Is It and How Did I Get It? Early Stage Chronic Kidney Disease for a definition of GFR. Of course, now you want to know, and rightfully so, what those numbers mean. 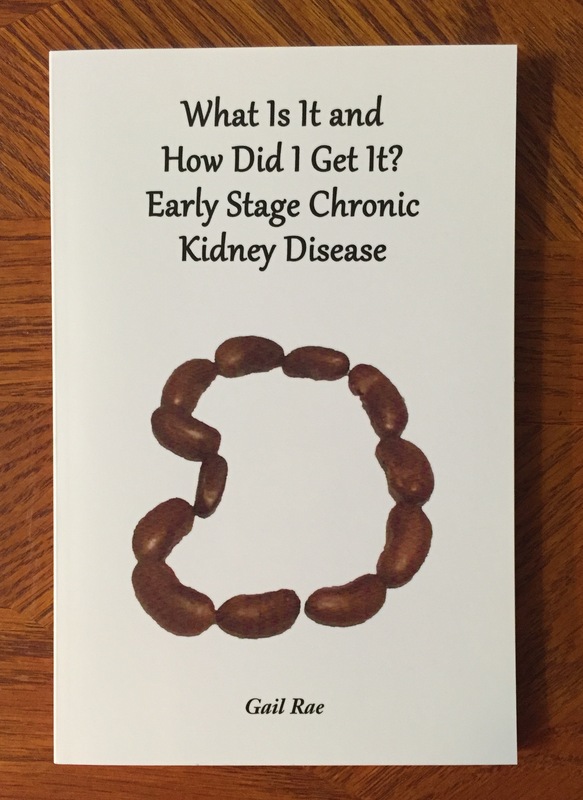 In The Book of Blogs: Moderate Stage Chronic Kidney Disease, Part 2, I included a helpful chart from DaVita along with some of my own comments which explains. STAGE 1: (normal or high) – above 90 – usually requires watching, not treatment, although many people decide to make life style changes now: following a renal diet, exercising, lowering blood pressure, ceasing to smoke, etc. STAGE 3A: (moderate) – 45-59 – This is when you are usually referred to a nephrologist (Kidney specialist). You’ll need a renal (Kidney) dietitian, too, since you need to be rigorous in avoiding more than certain amounts of protein, potassium, phosphorous, and sodium in your diet to slow down the deterioration of your kidneys. Each patient has different needs so there is no one diet. The diet is based on your lab results. Medications such as those for high blood pressure may be prescribed to help preserve your kidney function. STAGE 3B: (moderate) – 30-44 – same as above, except the patient may experience symptoms. STAGE 4: (severe 15-29) – Here’s when dialysis may start. A kidney transplant may be necessary instead of dialysis (Artificial cleansing of your blood). Your nephrologist will probably want to see you every three months and request labs before each visit. Uh-oh, Chronic Kidney Disease patients need to lower their protein intake. I’m constantly talking about my five ounce daily limitation. I remembered quoting something about protein limitation in The Book of Blogs: Moderate Stage Chronic Kidney Disease, Part 1 and so looked for that quote. This is what I found. 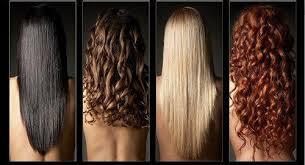 But I have friends near my age without CKD whose hair is thinning, too. 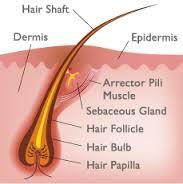 They’re not on protein restricted diets, so what’s causing their hair thinning? So it may be my CKD that’s causing the hair thinning or it may not. Either way, I wanted to know what to do about it. Dr. Doris Day (I kid you not.) 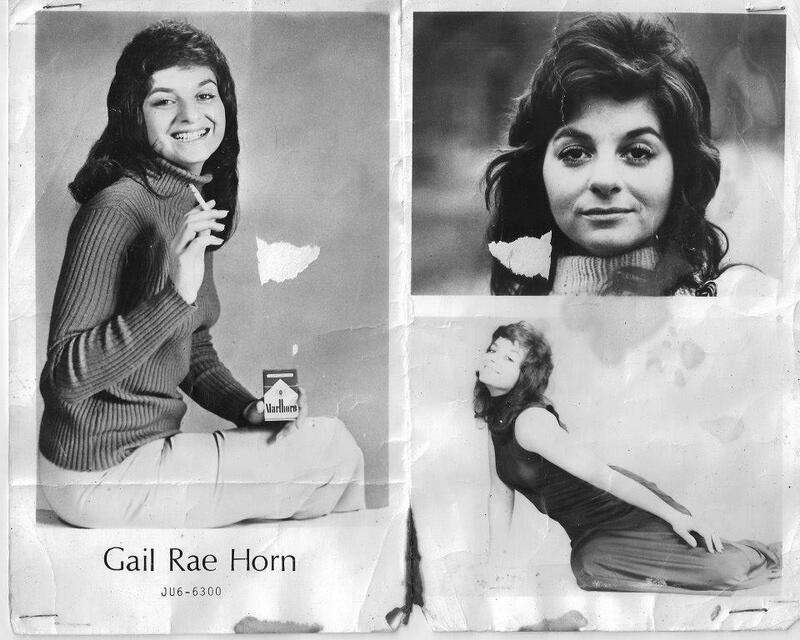 has other suggestions than protein as she discusses in a New York Times article at http://www.nytimes.com/2014/01/23/fashion/Hair-Aging-thinning-dry-dull.html. “Dr. Doris Day, a dermatologist in New York, agreed that the right foods are necessary for healthy hair. You do remember that CKD is an inflammatory disease, right? Hmmm, better check with your renal nutritionist before you start eating pomegranates or pumpkin. They’re on my NO! list, but yours may be different from mine. 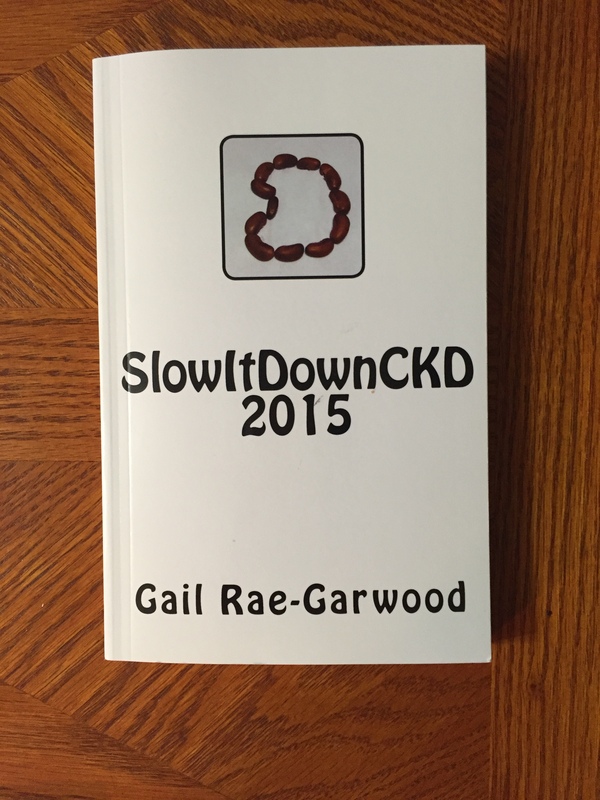 By the way, I’ve noticed there are no reviews for SlowItDownCKD 2015 on either Amazon.com or B&N.com. Can you help a writer out here? Just click on either site name to leave a review. Thanks. You’ve seen it all over the book’s Facebook page and on Twitter. Yesterday was my birthday, my 66th birthday to be exact. “I feel good. I knew that I would,” as James Brown sings when someone calls me. But what does my, uh, advanced age mean to my kidneys? According to my nephrologist, I would lose 1/2 % of my kidney function each year since I was older. Interesting… and wrong. I’ve gained between 9 and 21 points on my GFR in the last five years. It does vary depending on numerous factors: diet, sleep, exercise, stress, illness. I had my blood drawn two weeks ago and the results told me that my GFR was 52, down from the 64 it had been only three months before. My primary care doctor told me not to worry about this lower number since I had clearly been incubating the flu at the time of the draw. Here’s something you haven’t heard from me in a while (she wrote tongue in cheek): that got me to thinking. What do illness – other than chronic kidney disease – and age have to do with your Glomerular Filtration Rate, a widely accepted indication of just how well your kidneys are functioning? Notice this is for people without CKD. 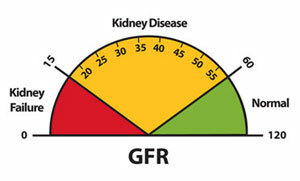 Now I’m not a mathematician, as we all know, but if those without our disease lose almost ten points of their GFR each decade they age, why am I not surprised that we who do have Chronic Kidney Disease are expected to be lose the same number of points? By the way, that does take into account the 1/2% a year I would be losing on my GFR – according to my nephrologist – due to age. But it’s just not happening. This is a good place to mention that a reader was infuriated that her nephrologist never told her to double her rate to see where she was on the charts. She previously had a kidney removed due to cancer and was living with one kidney. 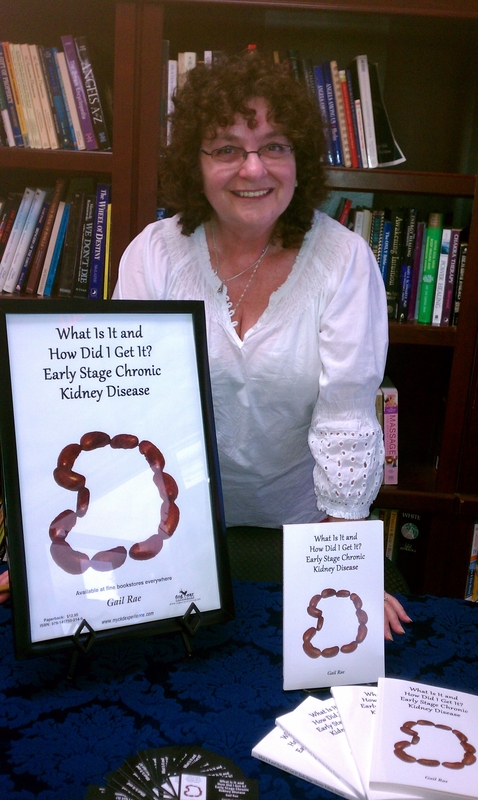 Until she was given that information, she thought she should be on par with those living with two kidneys and was aghast as how low her GFR was. I can see where her ire would rise (as well as her blood pressure from all that unnecessary worry). I have been researching for hours and the only answers I’ve found to the question of how the flu affected my GFR were on forums or pay-an-expert-for-a-medical-answer sites. Sorry, folks, I just don’t trust them. I will be seeing my nephrologist this week and will make it a point to ask him. When I had the flu, my nephrologist told me to go right ahead and take the over the counter medications my primary physician had suggested and in the dosages recommended on the labels. He did caution that I not take anything with the letter ‘d’ in the name since that might raise my blood pressure. take them as prescribed by your doctor and carefully read the package instructions. Notice we still don’t know if the flu affects the GFR. Although, logically, if hypertension (high blood pressure) affects your kidneys and these medications may raise your blood pressure… perhaps that means they lower your GFR? These are the kinds of questions that sent me running to interview different nephrologists, rather than trying to research my answers on the internet, when I was writing the book. Attempting to research these questions brought me to this chart on the site of The National Kidney Disease Education Program – which is a part of The U.S. Department Of Health And Human Services – at http://www.nkdep.nih.gov/learn/testing/understand-gfr.shtml. I have included it here due to its clarity. Seeing numbers written doesn’t always make it obvious just what the guidelines are, especially for those of us who think we’re not that good at math. I certainly do not mean to beg the issue, but I’m getting nowhere looking for definitive answers as to how my age and any other illness such as the flu affect CKD. We can all see how age and illness affect us as far as appearance, physical use of our body, and even shrinkage (Proof: I am ½ inch shorter due to the compression of the discs between my vertebrae), as well as the coughing, sneezing, and body aches of the flu. Apparently, you have to be a doctor, or have the vocabulary of one, to be able to understand the connection of these conditions to your GFR. On another note, The Southwest Nephrology Conference is on March 1 & 2 at Wild Horse Pass Hotel and Resort in Chandler. That is simply too close to ignore. I am thinking about going to meet all the specialists I’ve corresponded with from different parts of the country in person. I keep forgetting to mention the book! Since I no longer do book signings or book talks, the only way to get the information out there is for you to buy books for your friends and family. As you already know, tomorrow is my second cataract surgery. The first, three weeks ago, was on my right eye. That eye now sees wonderful shades of color I missed before. I’m so eager to see what my photography will look like now. I also don’t need my glasses to read with that eye, although it’s been made clear to me that this may change. I am eager to do the left eye. I’ve never had perfect vision and this is as close to that as I can come. The leading causes of chronic kidney disease (CKD) are diabetes and high blood pressure. These conditions are also the leading causes of eye disease and loss of vision. If your renal disease is a result of either condition your vision may be at risk. Diabetes and high blood pressure often go undiagnosed because people don’t notice any symptoms. As time goes on without medical treatment, these conditions can worsen and other complications—such as kidney disease and eye problems—arise. If you have chronic kidney disease not due to high blood pressure you may still want to monitor your blood pressure regularly, as kidney disease can cause high blood pressure and put your vision at risk. Then I was escorted into the pre op area where the usual vitals were taken and I was put out for a few minutes while the substance to paralyze the eye was injected directly into the eye. In retrospect, I’m glad I didn’t have to suffer that wide awake. But the surgery itself was an incredible surprise. I knew I was going to be awake during the procedure but I was unprepared for the beautiful colors I would see through the eye. I had to be reminded to be quiet so that the talking wouldn’t make my head move. I wanted to know why I was seeing the enchanting turquoise auras around the ceiling lights. Then I became more interested in what I can only describe as turquoise circuit boards that I saw in that eye. I’m pretty sure that was the original lens being blasted to pieces. I distinctly remember losing interest during the insertion of the new lens. 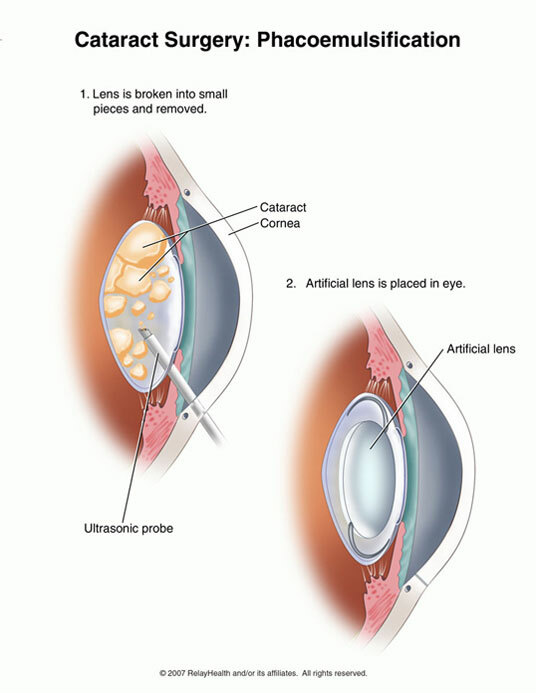 This more scientific explanation makes the procedure more clear: “Most modern cataract procedures involve the use of a high-frequency ultrasound probe that breaks up the cloudy lens into small pieces, which are then gently removed from the eye with suction. This procedure, called phacoemulsification or “phaco,” can be performed with smaller incisions than previous surgical techniques for cataract removal, promoting faster healing and reducing the risk of cataract surgery complications, such as a retinal detachment. The only complaint I had about the entire procedure was that the surgery table I was laying on had no shoulders making it uncomfortable after a while. This same table was rolled into the surgery room, so it made sense that the shoulder areas were cut out. That’s so that the surgeon could pull his stool as close to my eye as possible. Here’s the part you have to watch out for (oh, poor choice of words for describing cataract surgery). Although I had carefully explained that I have chronic kidney disease, I was still given a sulpher based medication to prevent pressure from accumulating in the recovering eye. If you’ve read the book, you know that this is not good for the kidneys and my nephrologist was very upset that they were given to me when I had a bladder infection a couple of years ago. I talked this over with my ophthalmologist, Dr. Gary Mackman of Phoenix Ophthalmologists, who seemed surprised that it was given to me and assured me I needn’t take it after the second surgery. I hope I hadn’t made a mistake by taking it after the first surgery, but when the nurse said BOTH my doctors prescribed it, I thought she meant Dr. Mackman and my nephrologist. As I sat there for the required hour for recovery before being released, I realized she’d meant the ophthalmologist and the anesthesiologist. Uh-oh, I’ll have to keep a close eye (sorry! I couldn’t resist) on my numbers on my next labs. I am now laughing out loud – lol – because I’m re-reading the book with the new eye and can more readily appreciate the high cloth content in the paper; in other words, it’s really easy on the eyes.